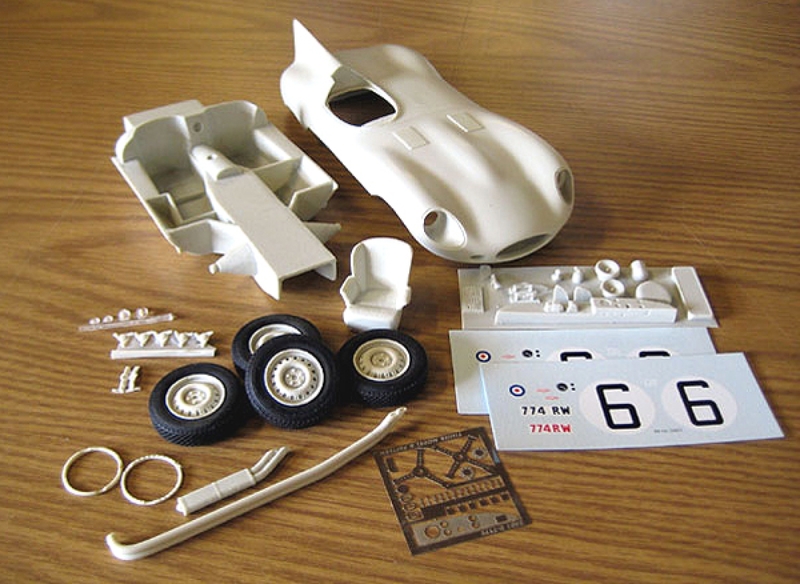 A simple to build curbside model of the longnose D-Type, as run in 1955 .Kit includes soft rubber tires, photoetched dash and steering wheel spokes, aand decals for the Hawthorne / Bueb Le Mans car No.6 as well as the Cunningham No.9 entry in white. 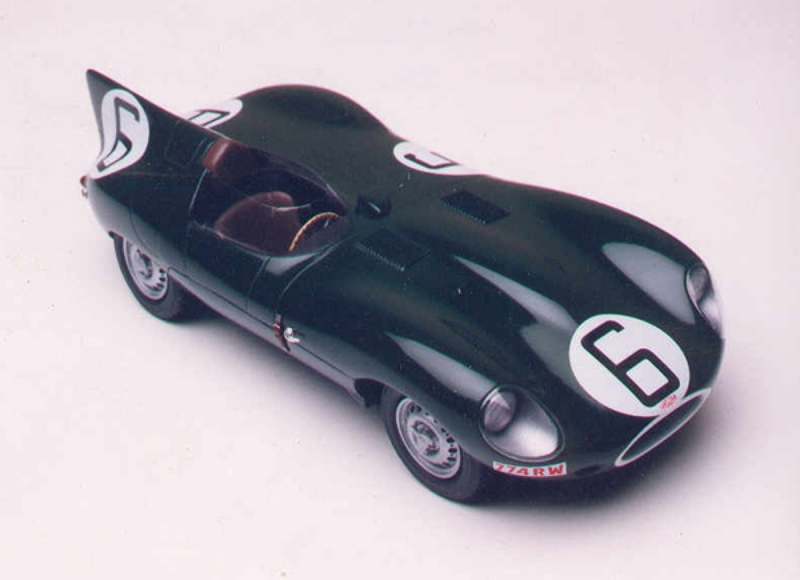 Clear windscreen and headlamp cowls and resin taillights. This is a beautiful model, and a great intro to resin kits.